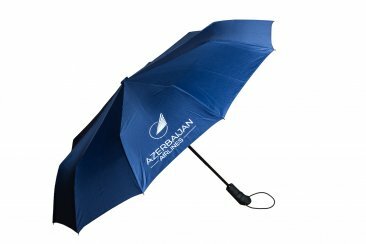 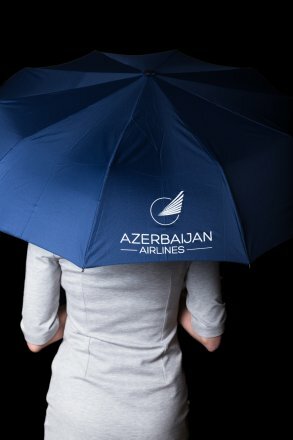 A folding umbrella with the logo of Azerbaijan Airlines. 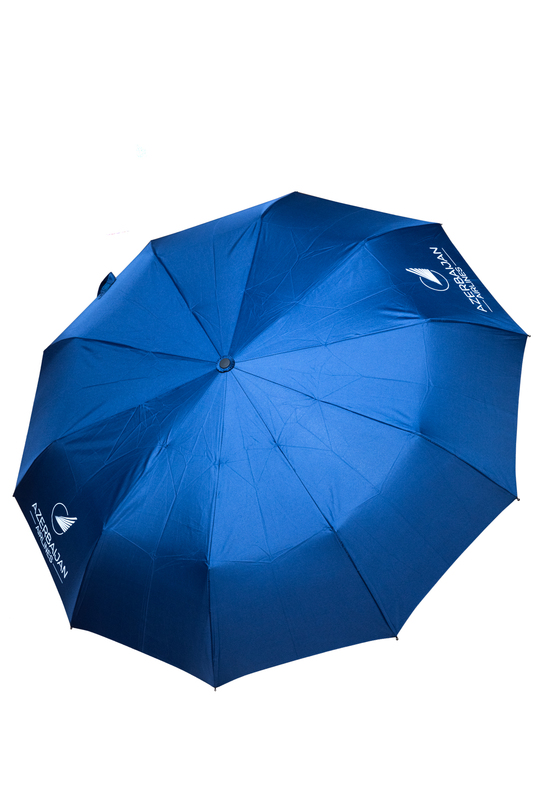 Diameter of the dome is 65 cm, which is divided into 10 segments. The handle is made of high-quality plastic with anti-slip coating. 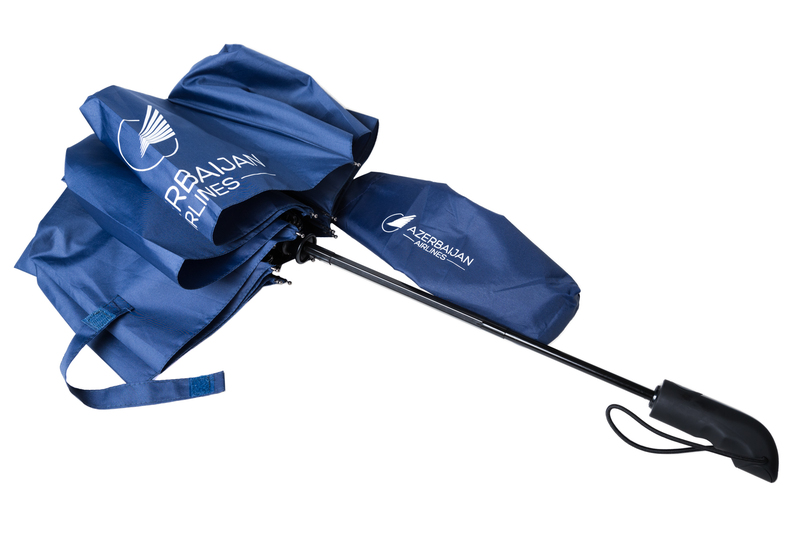 A cord is attached to the handle for comfortable wearing on the arm. The umbrella opens and closes by pressing the button on the handle. There is a velcro on the dome for convenient folding of the umbrella. 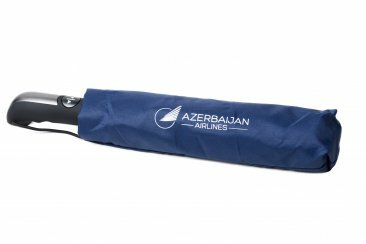 The umbrella is light and compact, even fits in women's small bags. 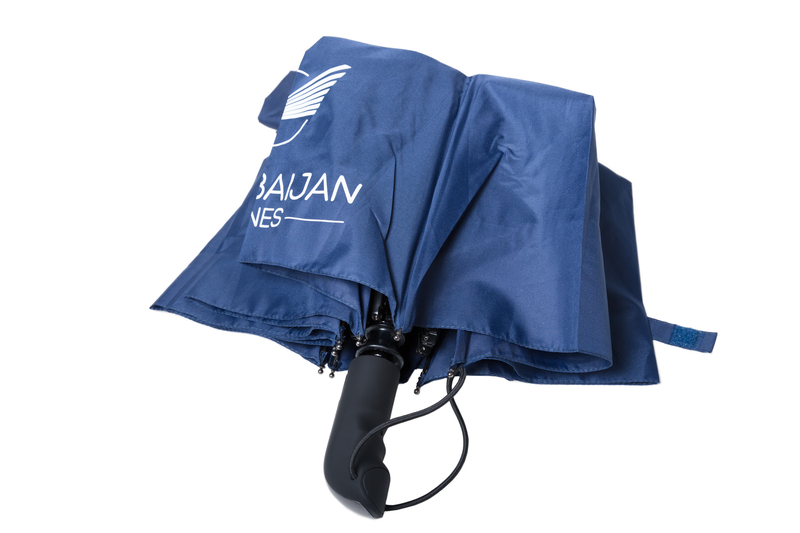 Cover included.